Don't confuse the relative quiet of the drum corps off-season for lack-of-action. As we hear in the latest episode of the "Field Pass" presented by Zildjian, from staff changes, to upcoming auditions, there's plenty afoot. Host Dan Potter touches base with Phantom Regiment's new percussion caption head and music coordinator, hears from the Cavaliers' new associate brass caption head, gets some sound advice for prospective corps members on upcoming auditions, and much more. 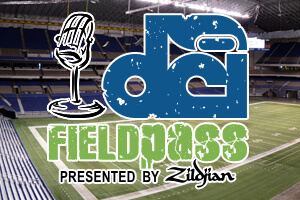 Have a Field Pass question, comment or request? Leave a message for Dan Potter by phone at 317.275.1212 x40 or by e-mail at fieldpass@dci.org. Become a fan of the Field Pass on Facebook.